Nissan has finally revealed a production variant of the Leaf Nismo, the warmed-over EV first presented in concept form at the 2017 Tokyo motor show. Looking almost identical to the concept and based on the production Nissan Leafnow on sale across the world, the Nismo version focuses mainly on chassis and visual enhancements, though Nismo does promise a retuned computer to improve response to accelerator inputs. The subtext of that is that the Nismo is unlikely to produce any more power than the standard Leaf’s 148bhp output. If the changes unleash more torque we may still see improvements on the existing model’s 8.3-second 0-100kph dash, though the upshot is that we’re looking at a warm hatch rather than a hot one. Still, the performance was among the new Leaf’s stronger suits when we first drove the car before the Tokyo show last year. 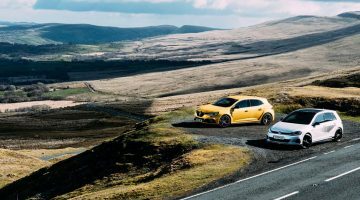 More of an issue was the car’s unremarkable handling, which should be improved with the addition of uprated dampers and a revised stability control program, along with new 18in alloy wheels and ContiSportContact 5 tyres. The electric power steering has also been re-adjusted for its new application, as has the ABS, while Nissan’s Intelligent Trace Control – which can brake individual wheels to reduce understeer – has been retuned to match the car’s new dynamic abilities. The Nismo’s other changes are primarily visual. Outside, the Leaf gets a bodykit with a deeper front bumper, side sill extensions and rear bumper with integrated diffuser (and centrally-located foglight, as well as a new front grille and new mirrors – all accented with a mixture of contrasting dark elements, thin strips of red trim, and Nismo badging. A contrasting black roof is also available on certain colours. Inside, the three-spoke steering wheel is now wrapped in Alcantara – matching Nismo’s other models – a revised gear selector, new instruments, more red detailing and carbonfibre-style accents. Disappointingly, the seats appear to be relatively standard, featuring only new trim, rather than the Recaro option we’ve seen in other Nismo models. 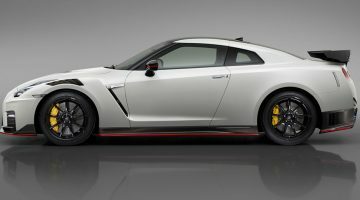 That suggests that this particular Nismo is rather more a visual job than a serious attempt to create an electric hot hatchback – though hopefully strong sales will convince Nissan that there’s a market for a higher-performance, more focused version of its electric car. For the time being that’s up to the Japanese market, as sales elsewhere haven’t yet been confirmed. The new Nismo Leaf will go on sale on July 31st and joins a wide range of other Nismo models in Nissan’s home market, from the Juke, 370Zand GT-R we’re already familiar with, to Nismo versions of the Note, Micra and Elgrand.